For the last few weeks we have been trying our Kelty’s dual purpose carrier. The Kelty TC 2.1 is made for everyday urban use but can also stand up to more rugged trails too. Because our family travels quite a bit, we need something that will keep our son comfortable and keep him happy while we are at the airport. While the Kelty FC 2.1, that we recently tested, is good for hiking, the TC 2.1 is nice for places where your luggage is limited. 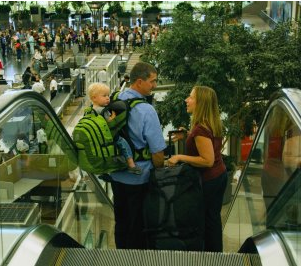 I like a backpack for traveling because it allows my hands to be free for helping with luggage and pushing a stroller. 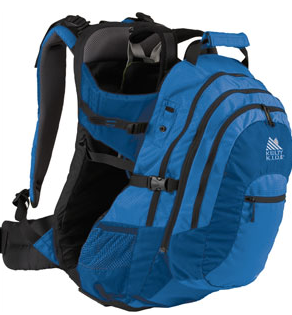 The Kelty TC 2.1 is convenient because it doubles as a carrier for a second child weighing up to 40-pounds. It features a lightweight internal aluminum frame for stability, mesh water-bottle pockets for sippies or bottles and a Zip-off diaper bag with shoulder straps for quick bum changes. The main storage compartment is surprising spacious, with room to hold snacks, a change of clothes and some toys. It also has a velcro pocket for dirty laundry and a strap to hold in anything that could rustle around. Just like the Kelty FC 2.0, the TC 2.1 has added a two-layer, padded and contoured waistbelt, curved, padded shoulder straps and backpanel and a Scherer Cinch waistbelt system for mom and dads comfort. The ‘cockpit’ is also equipped with a 5-point harness and made of breathable fabrics. 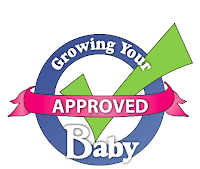 The adjustable seat allows the carrier to grow with your baby. While this backpack is not ‘compact’ by any stretch, it is smaller than it’s big brother with many of the features. Taller toddlers may prefer the framed version because of it’s longer, more spacious cockpit, but parents will love this model for vacations down south or overseas. Having the TC 2.1 on a trip will always take up less room than an extra carry on bag or suitcase. Side clips and straps also allow it to be reduced to a compact bag when not in use.